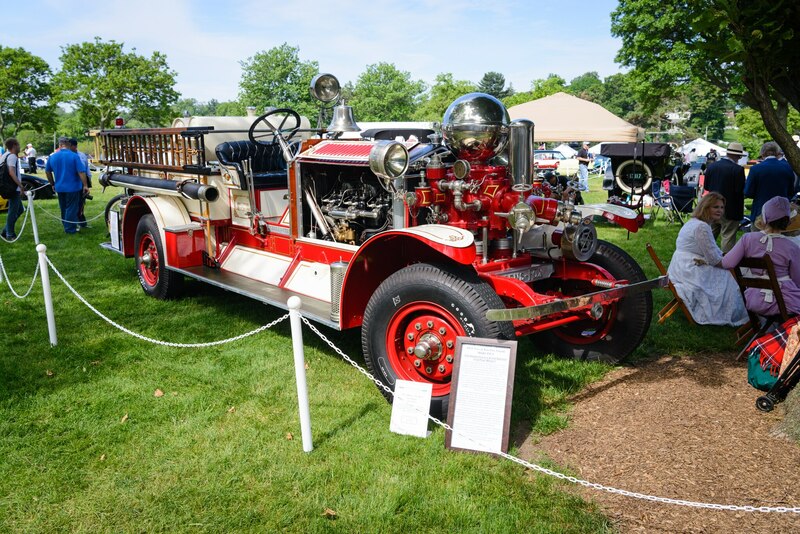 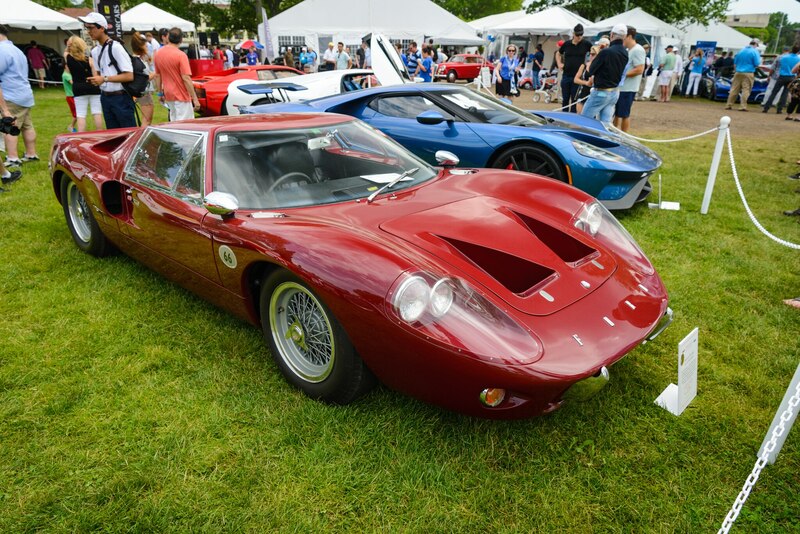 The Greenwich Concours d’Elegance, held right in the heart of Greenwich, Connecticut, is largest event of its kind in the Northeast. 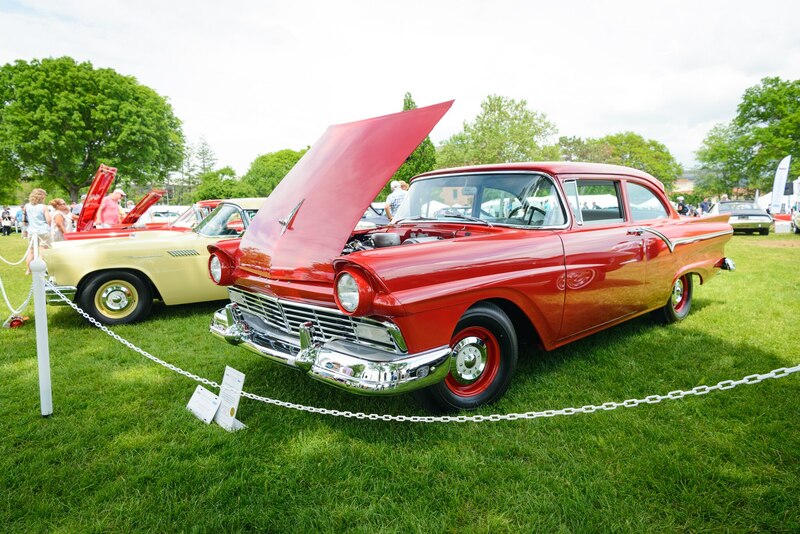 And the 2018 edition took place this past weekend, continuing its usual theme of featuring some of the greatest examples of American automotive history for day one, while day two showcases foreign automobiles. 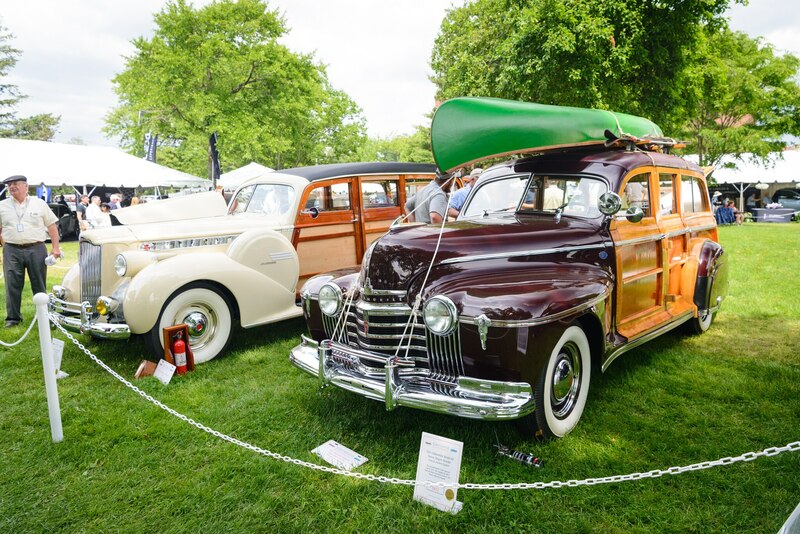 Here are seven of our favorites from this year’s show. 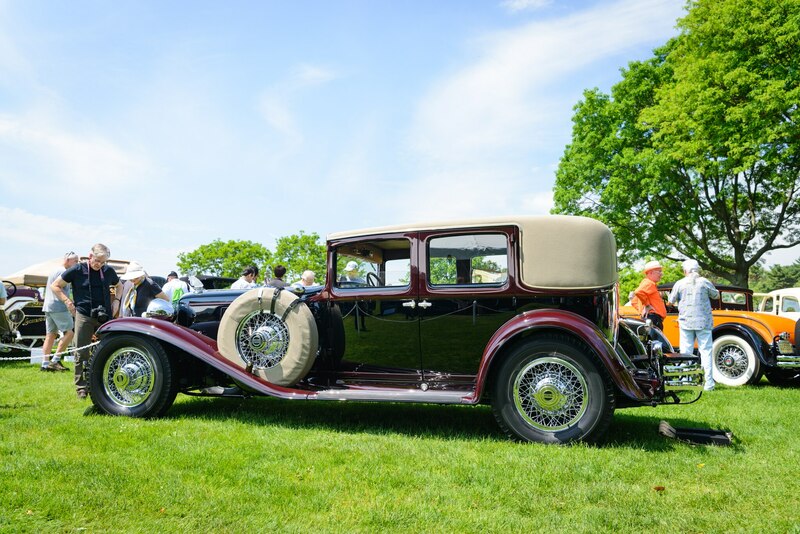 What’s a concours d’elegance without its fair share of Packards. 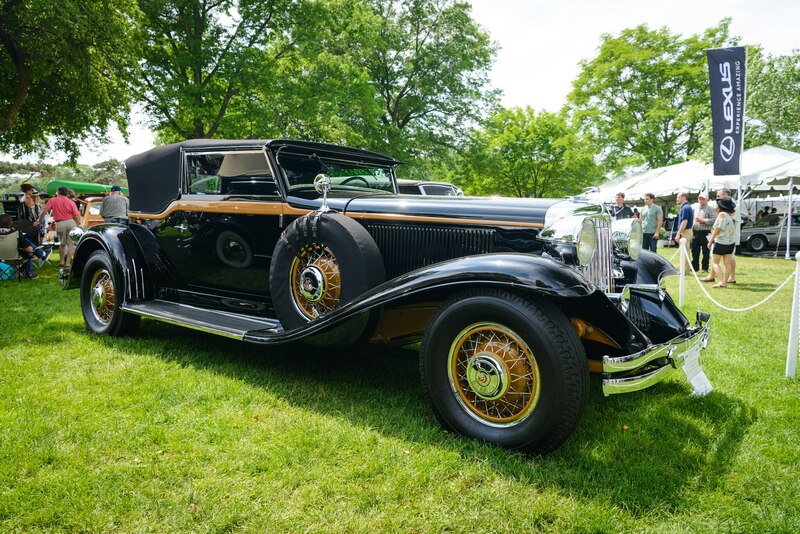 The Packard Twelve first surfaced as the “Twin Six” in 1932, joining the lineup with Packard’s top-seller, the Eight five-seat sedan. 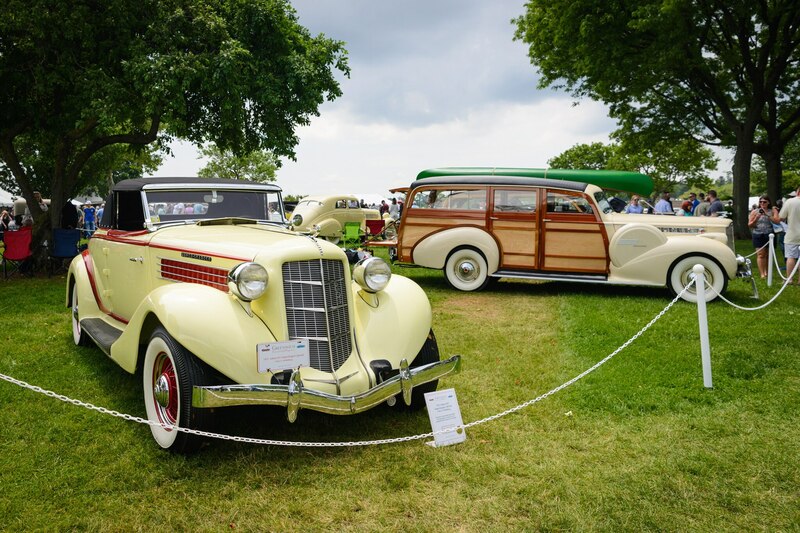 The Twelve could be had in a variety of bodystyles, depending on the coachbuilder and customer demands. 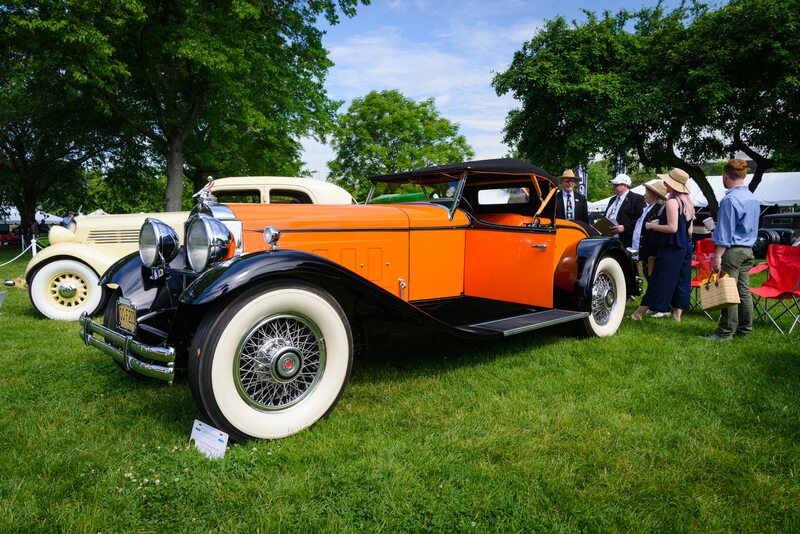 This specific 1934 Packard Twelve 1108 Convertible Victoria was built by Dietrich and took “Best-In-Show” at the 2013 Pebble Beach Concours d’Elegance, later selling that year for a jaw-dropping $5.17 million. 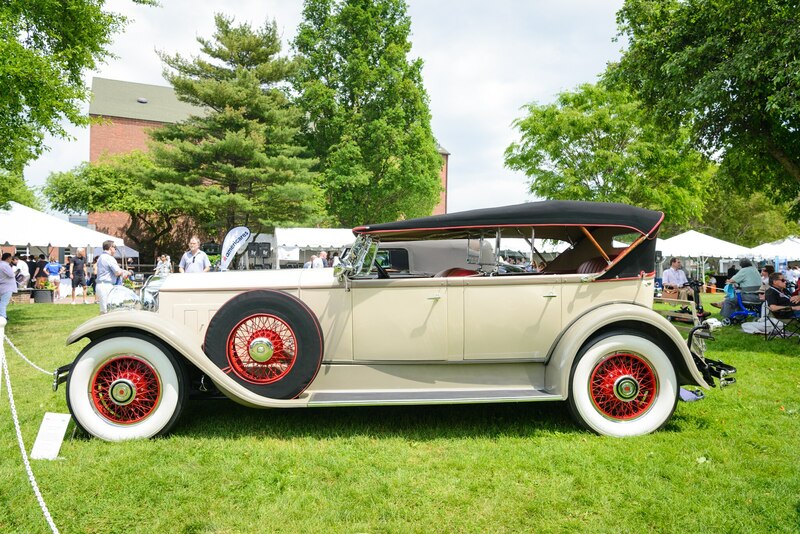 Power comes from a 160-horsepower 445-cu-in V-12 and this car is said to be one of four or five Packard Twelve 1108 to be fitted with the “Convertible Victoria” body. 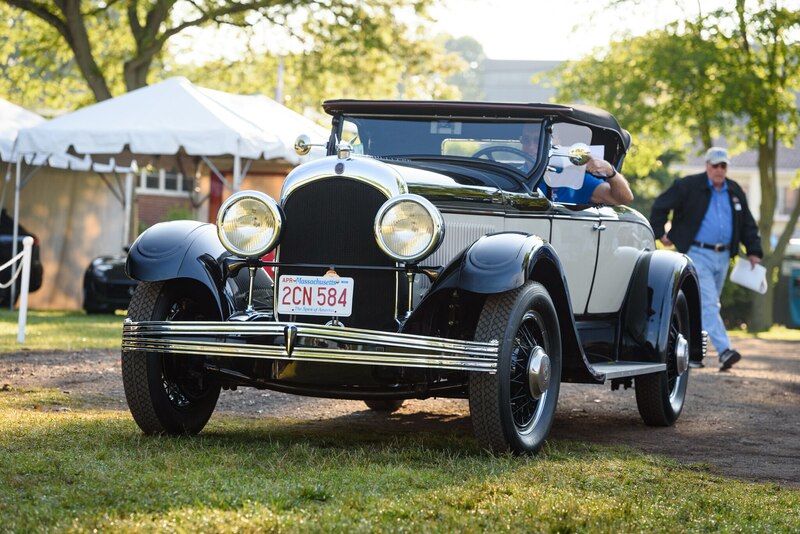 Auburn Automobile Company, one of America’s oldest automakers, morphed out of the Eckhart Carriage Company in 1874. 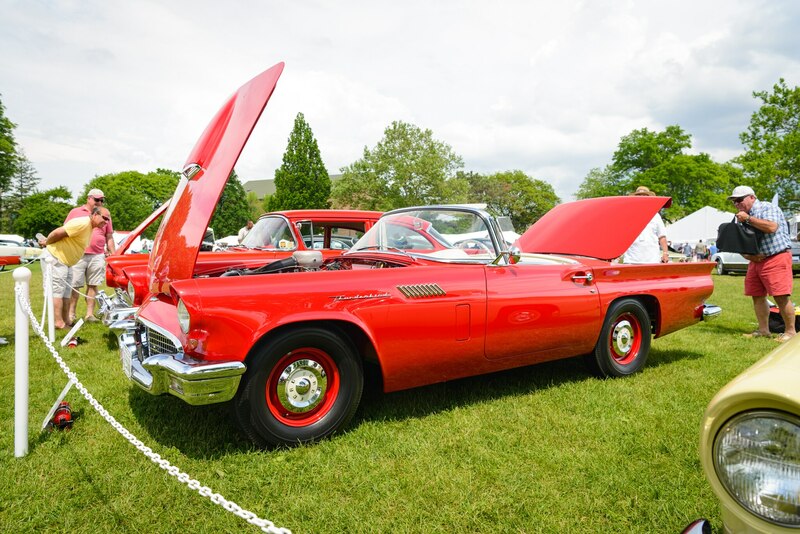 This minty 851 Supercharged Cabriolet was one of its later models—one that, in hindsight, signaled the end of the company in the form of bankruptcy. 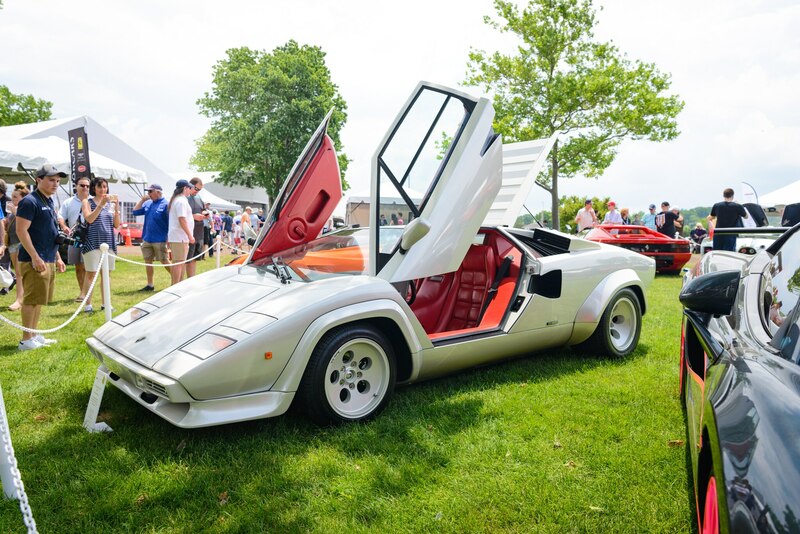 But the 851 is also one of the company’s icons and sadly, last great hurrahs. 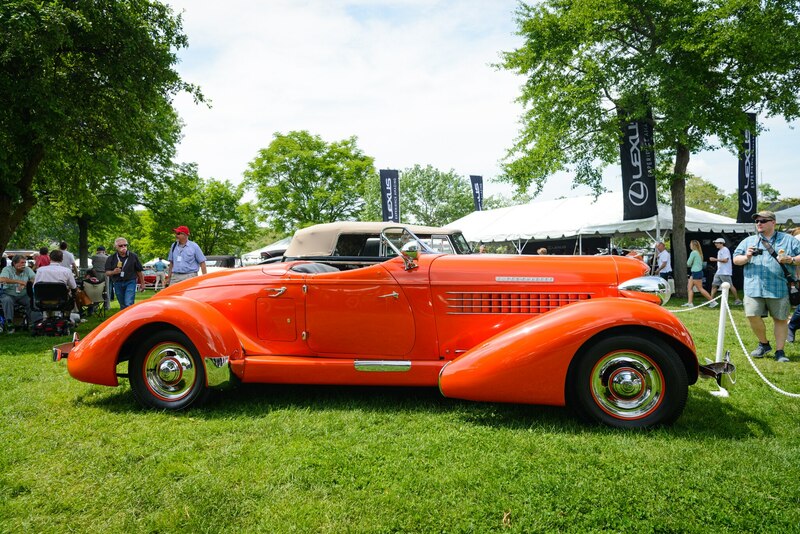 When most people think of the 851, the significantly more iconic “Boattail Speedster,” also known as just the “Auburn Speedster” first comes to mind for its slickly styled rear end design, penned by Gordon Buehrig, who also designed the Cord 810 and 812. 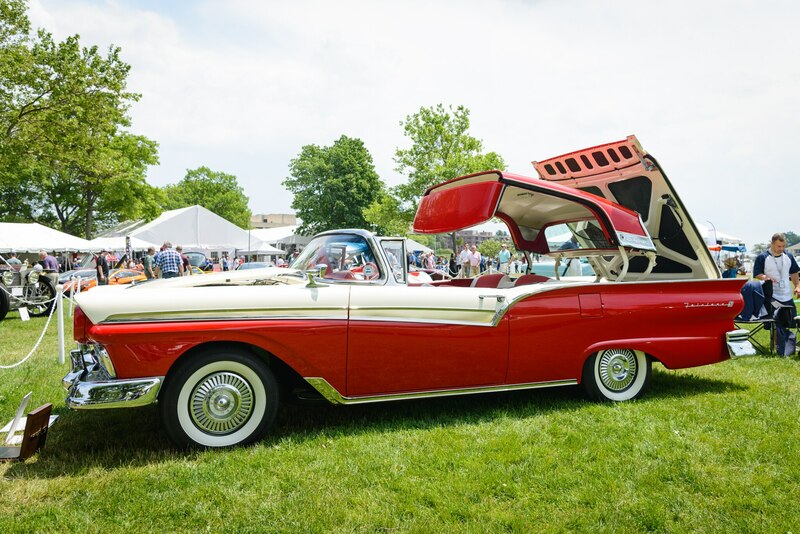 This 851 Cabriolet however is the lesser-known sibling, taking on a more traditional slope-back rear-end. 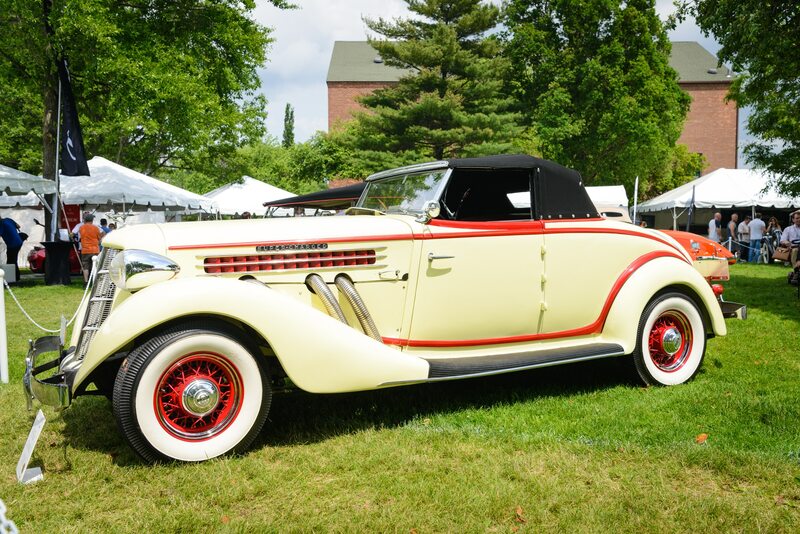 But it still came with the Speedster’s supercharged flathead 4.6-liter straight-eight with 150 horsepower and a three-speed manual. 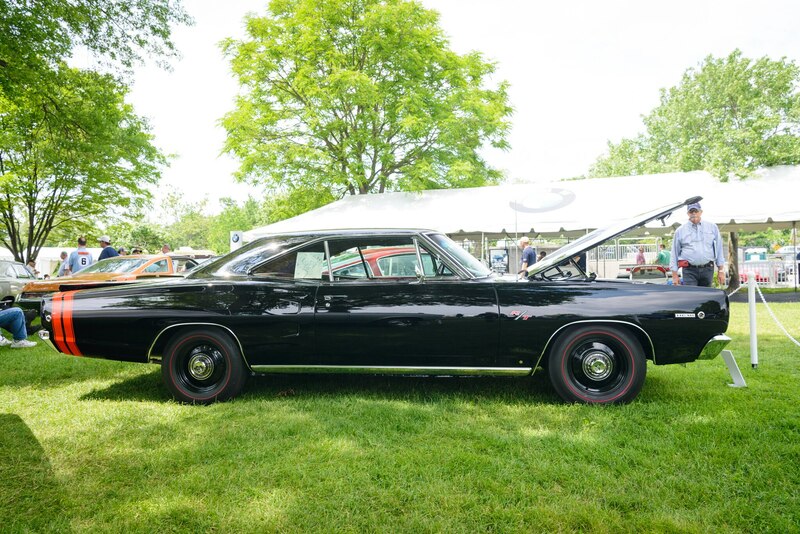 One of these crossed RMSotheby’s auction block at Hershey Park for a relatively modest $220,000 in 2014. 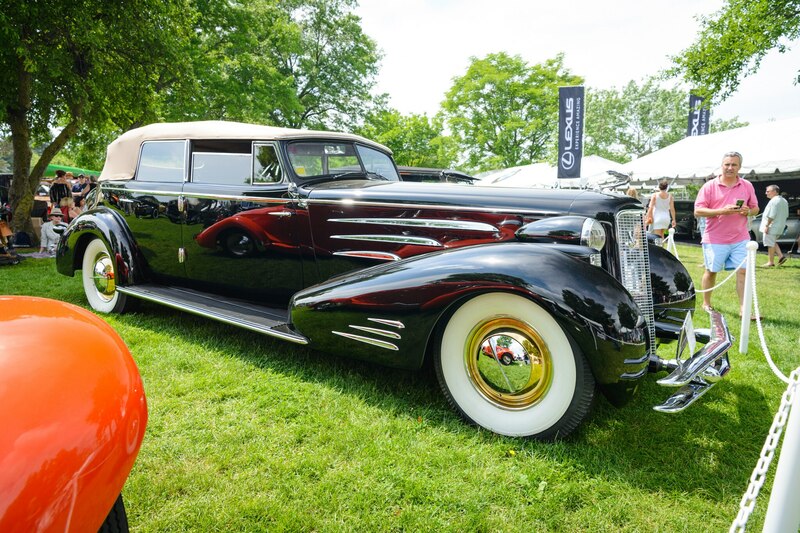 This monstrous Cadillac definitely hits the list as one of our favorites from Greenwich. 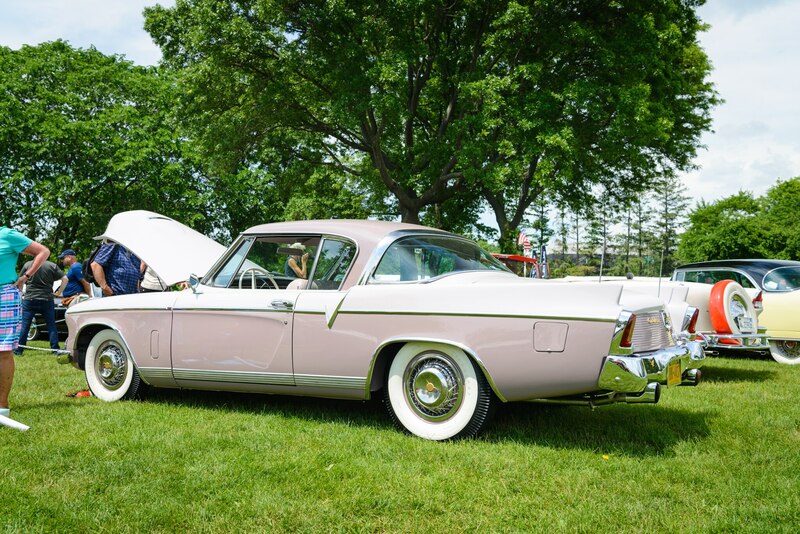 This Imperial Convertible Sedan “Series 452D” model is much more unique, featuring a coachbuilt body by Fleetwood. 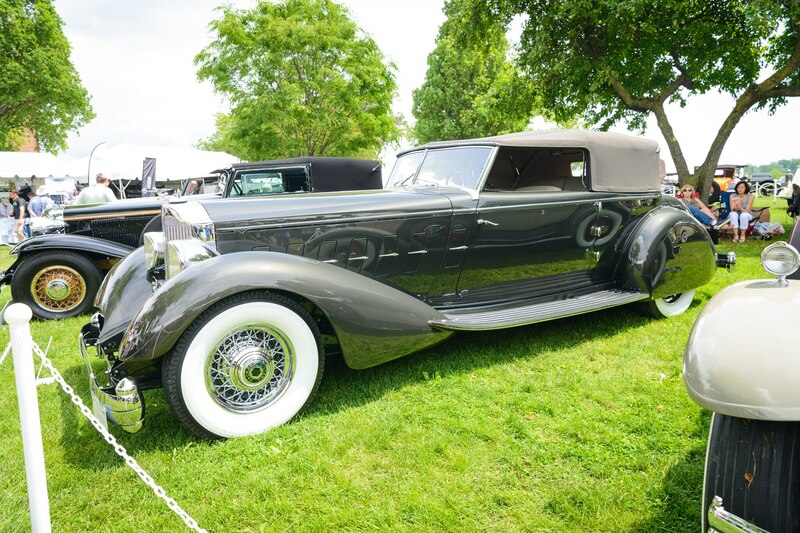 With its famous 7.4-liter, 452 cu in V-16 engine, this Caddy is pure automotive aristocracy and gluttony from the time marque could truly stand by its “Standard of the World” slogan. 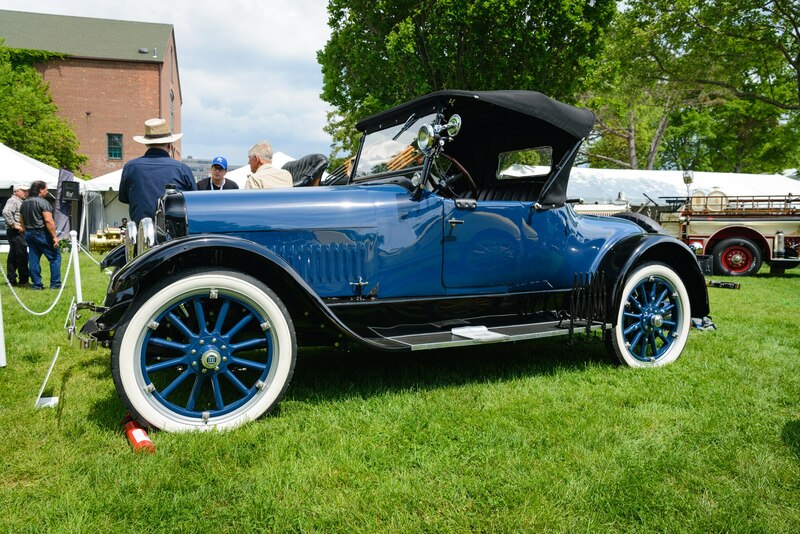 At 154-inches, its wheelbase remains the longest ever used on a Cadillac. 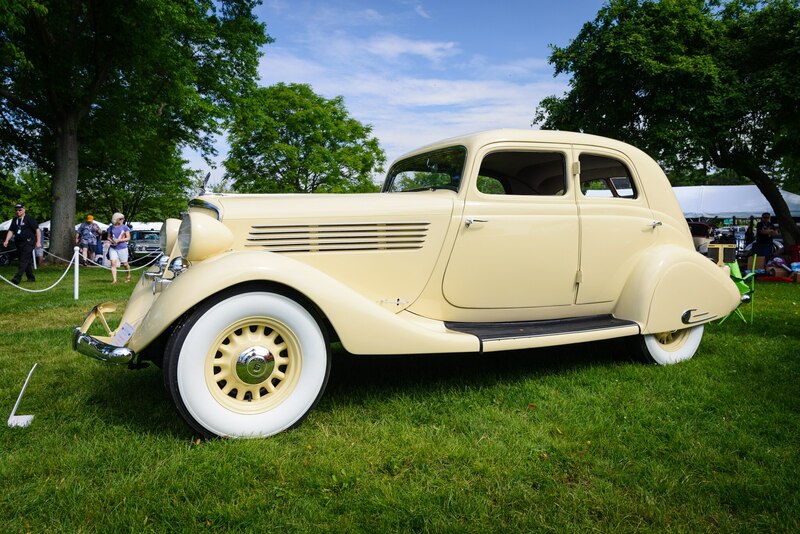 Back when this later, Art Deco-styled Sixteen sold, its average price hovered just above $8,000 in 1934. 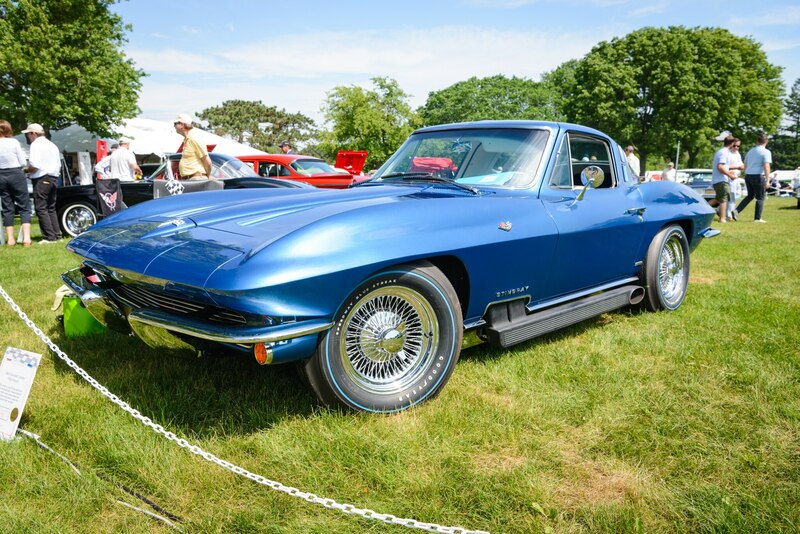 In today’s cash, that’s close to $160,000. 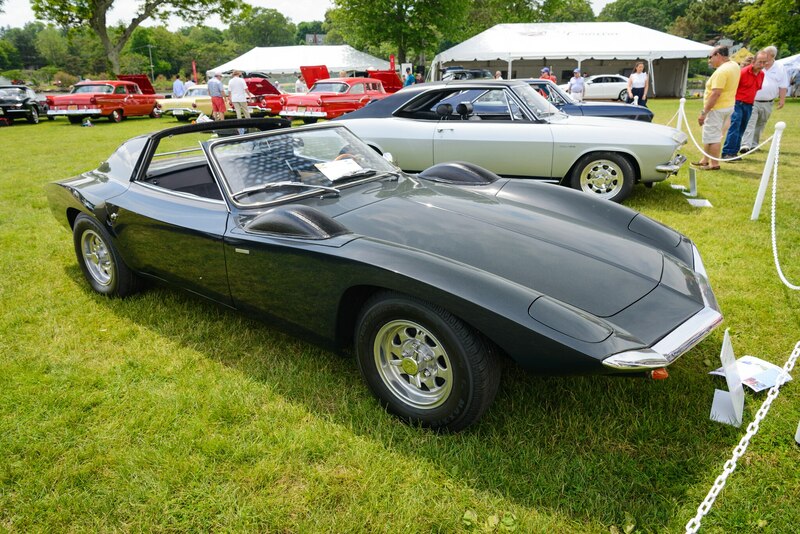 A similar example crossed RMSotheby’s in 2014 for a cool $605,000. 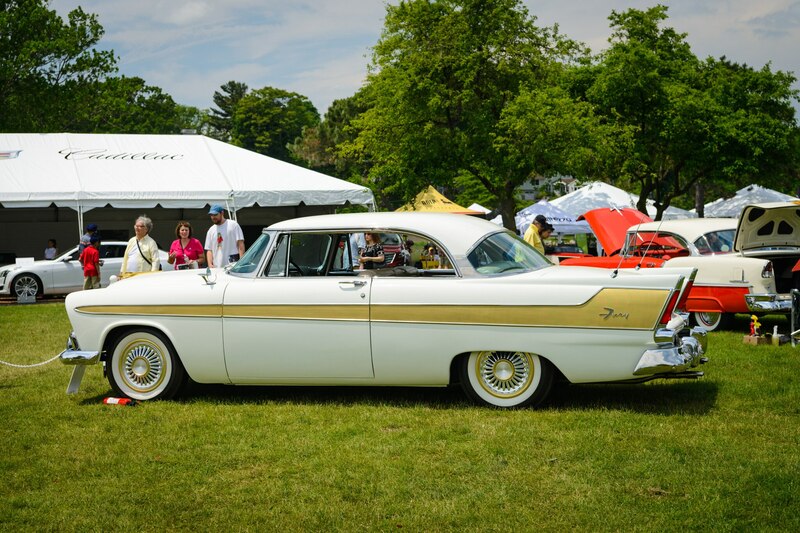 Technically speaking, the Plymouth Fury didn’t become a standalone model until 1958. 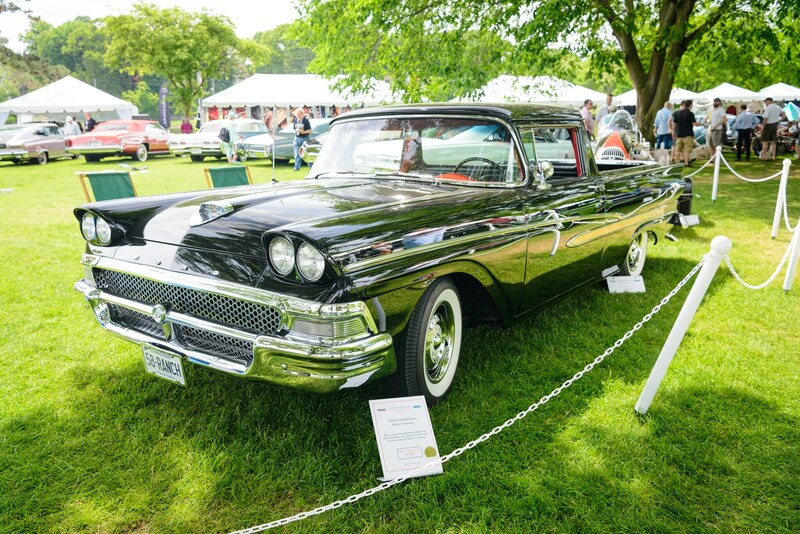 In 1956, the Fury was a sub-series to the Belvedere sedan. 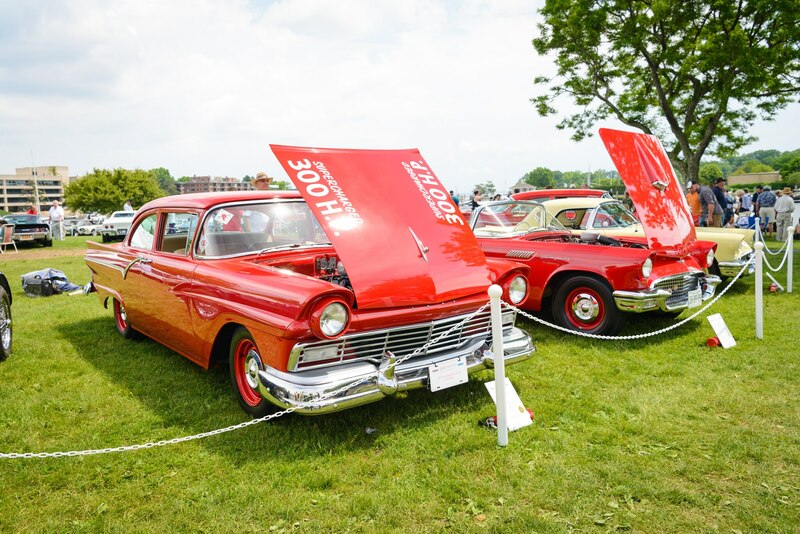 Even before it reached production, the 1956 Plymouth Belvedere Fury quickly made a name for itself while running a high-speed test run on the sands of Daytona Beach, Florida on the same day that it was revealed in Chicago. 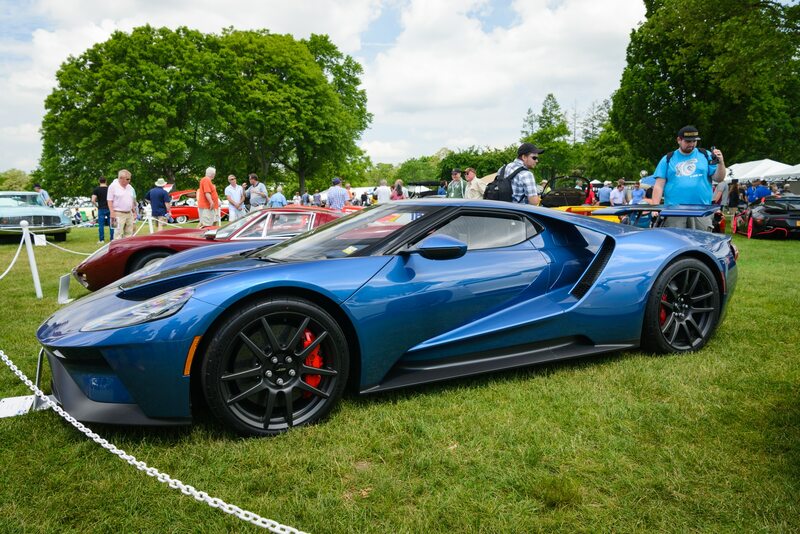 It immediately made headlines for its flying mile at 124 mph, unheard of speed and performance for a primarily stock passenger vehicle. 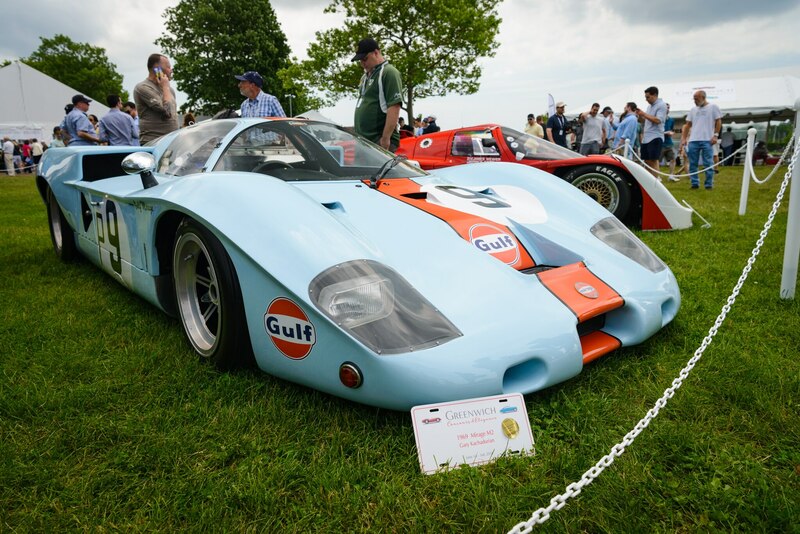 It weighs around 3,650 pounds and is powered by a 303 cu in V-8. 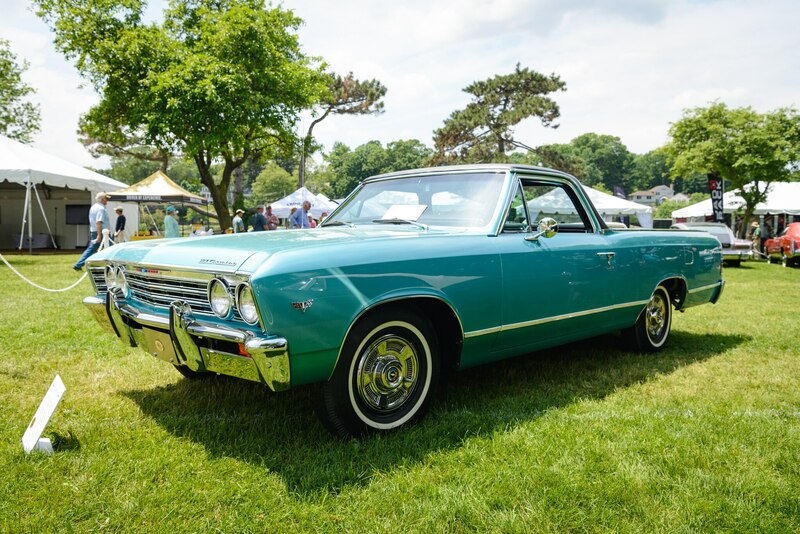 When Motor Trend tested the car, it put down a 0-60 time of 9.5 seconds and ran the quarter mile in 16.9 seconds—also impressive numbers for a humdrum sedan from this era. 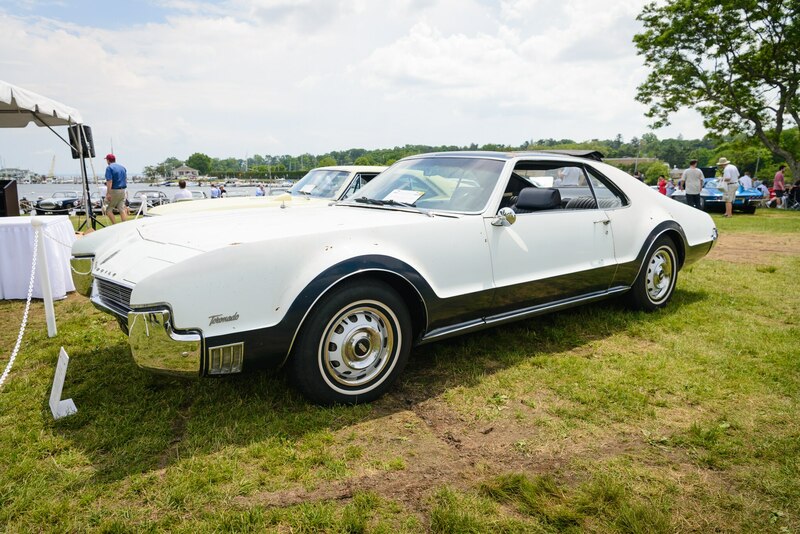 This is one of a few Firebird prototypes, commissioned by the one and only John DeLorean, who was running Pontiac at the time. 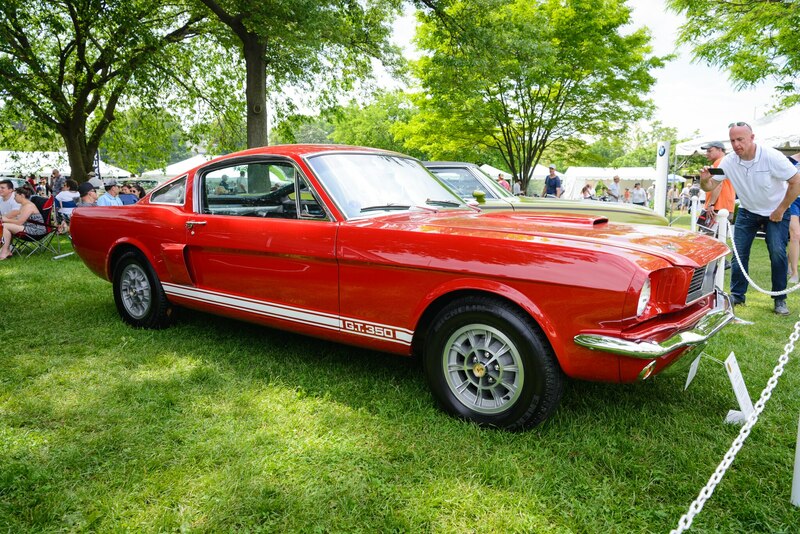 It was built by John Firth, a sports car driver, inventor, and P51 Mustang pilot. 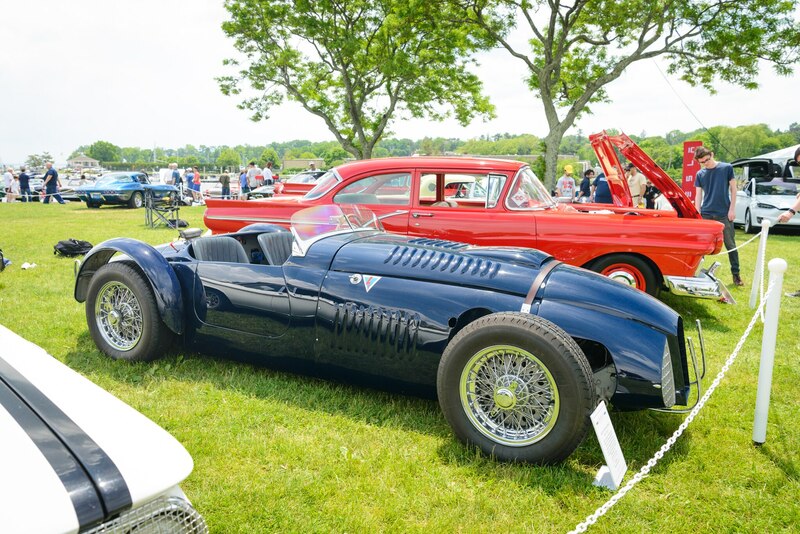 Fitch is also known for working with Briggs Cunningham’s Le Mans racers in the early 1950s, which happened to be the leading tribute theme for this year’s Greenwich show. 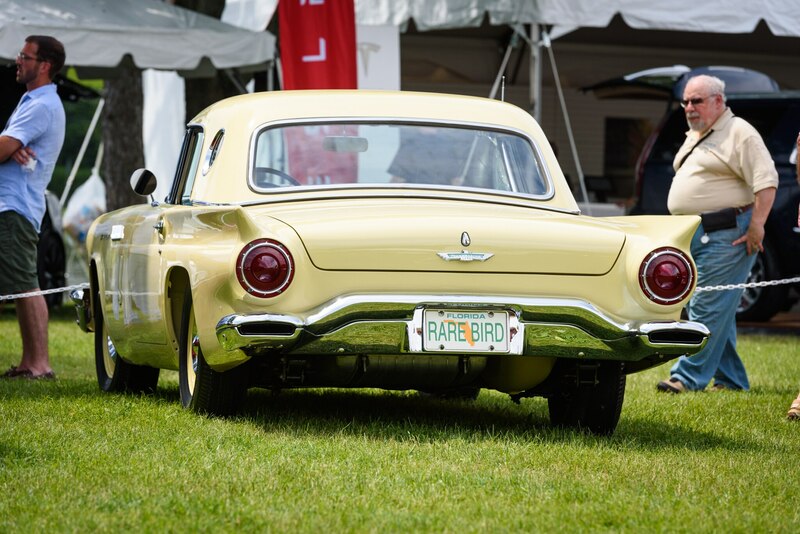 He also invented the yellow bin—those sand-filled crash safety barriers that are frequently seen on highway off-ramps. 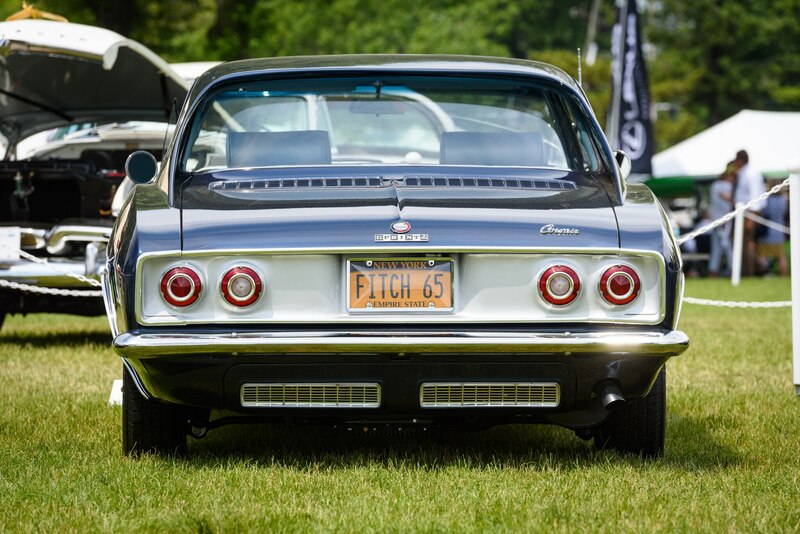 As the story goes with these “Fitch” Firebirds—and it’s a bit of a cloudy one—Fitch built only between six and eight prototypes. 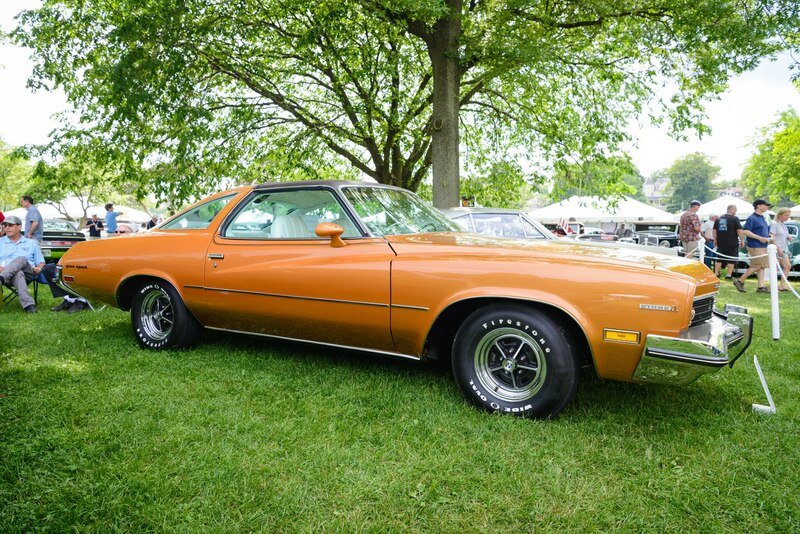 Examples either had a base overhead-cam (OHV) 250 cu in straight-six from the Pontiac Sprint, or the top-dog 400 cu in (6.6-liter) V8. 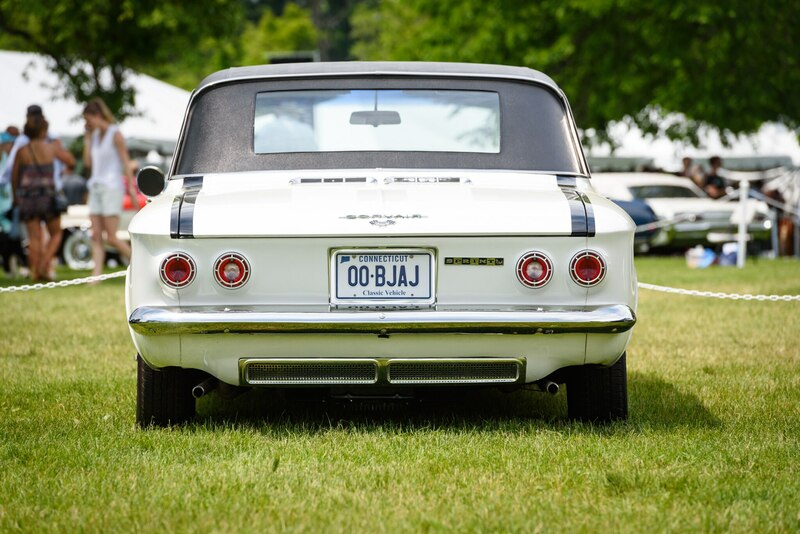 Featuring special “flying buttress” panels mounted on top of the rear-three quarter panels, a trademark from Fitch’s work modifying Chevy Corvairs, they were thought to improve aerodynamics at high speed, and the project was meant to pitch the idea of a high-performance packaged Firebird. 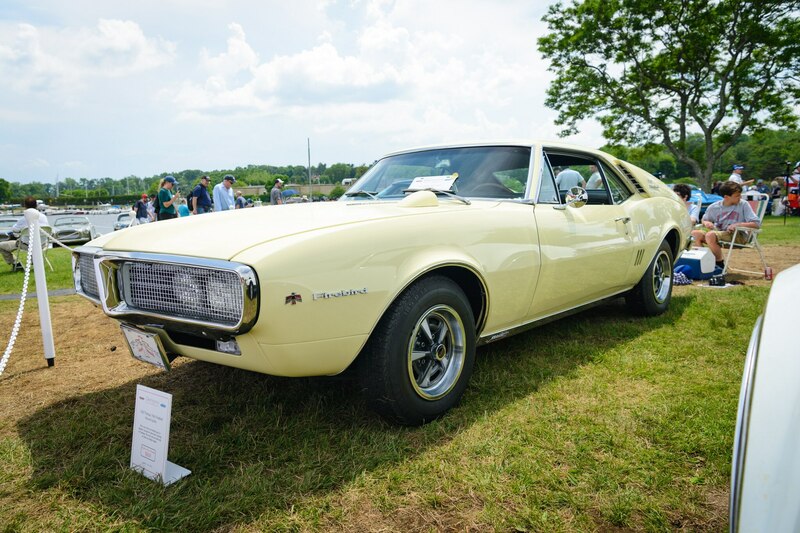 The project however never reached production and finding one these “Fitch” Firebirds, especially in Concours condition, is a true and genuine treat. 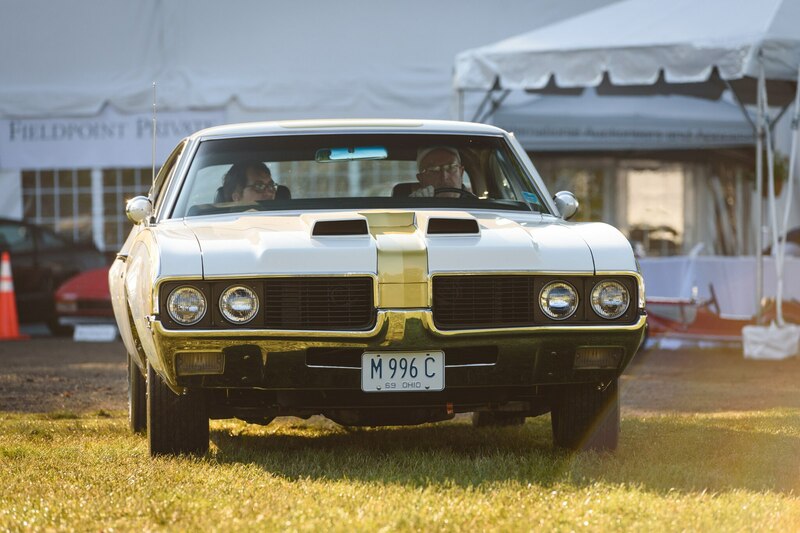 The Oldsmobile 442 was the marque’s muscle car performance icon and a sub-series to the original Cutlass models, proving to the world that the company made plenty more than just your old man’s Ninety Eight. 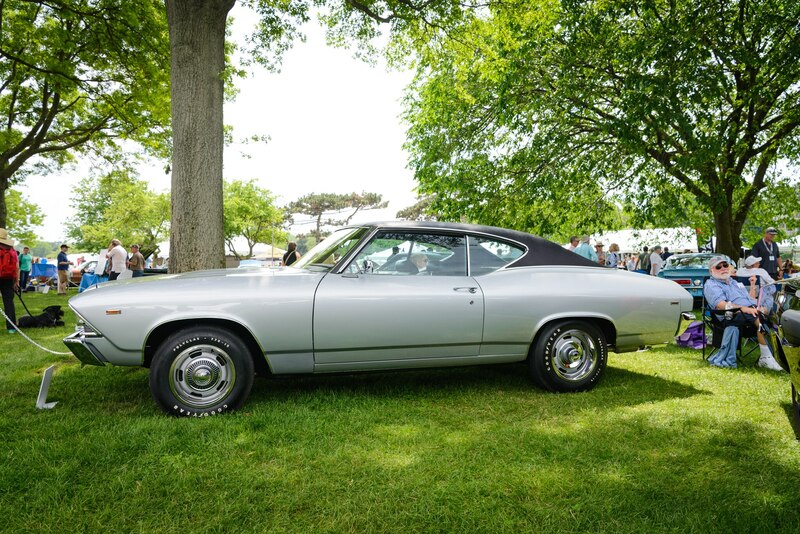 1969 continued “Hurst/Olds” combination, where Oldsmobile partnered up with Hurst Performance Research Corporation, to create special editions while featuring unique Hurst shifters for the manual transmissions. 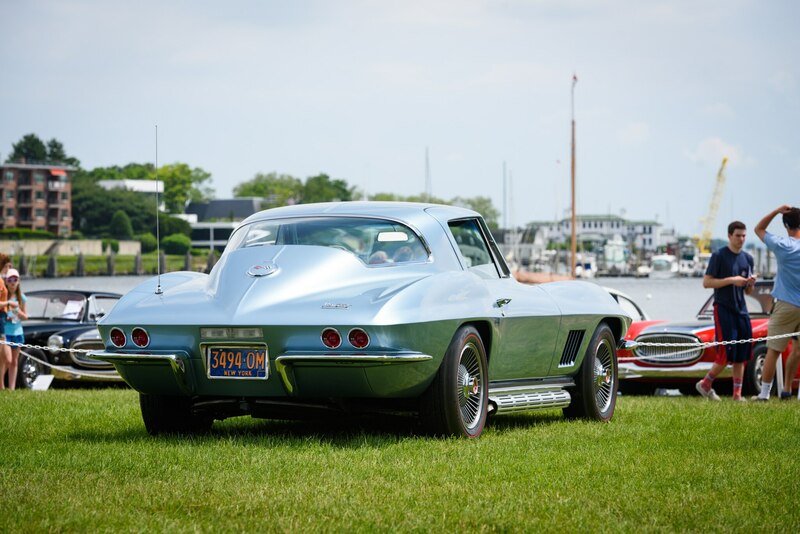 The “4-4-2” designation comes from the company’s use of a four-barrel carburetor for its massive V-8, a four-speed manual transmission, and dual exhausts. 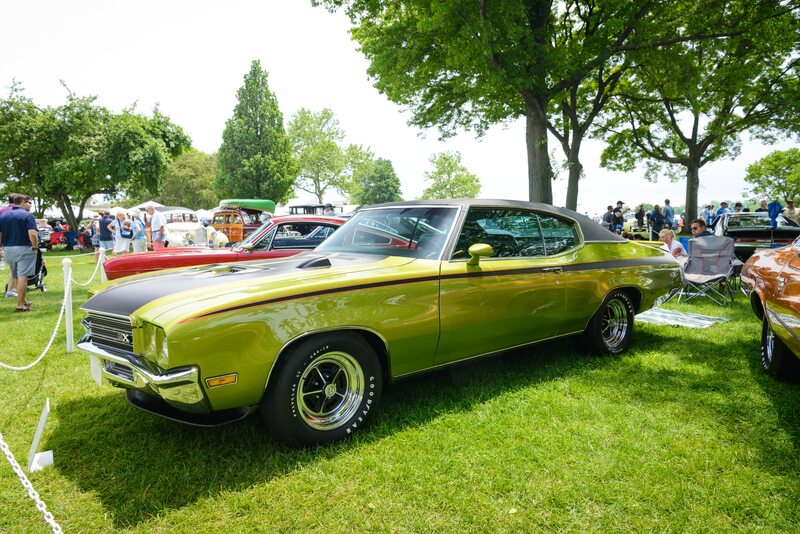 By 1969, the Oldsmobile 442 was in its second year of its second generation. 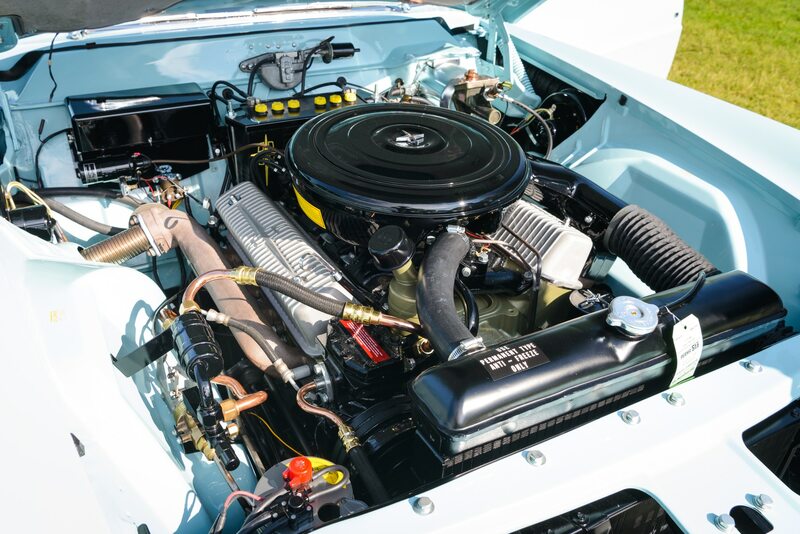 This specific 442, with its significantly pronounced ram air hood scoops, signifies the “high-output” or “H/O” model, which received a 455 cu in “Rocket 455” 7.5-liter V-8 with up to 400 horsepower and a 0-60 time of just 5.9 seconds. 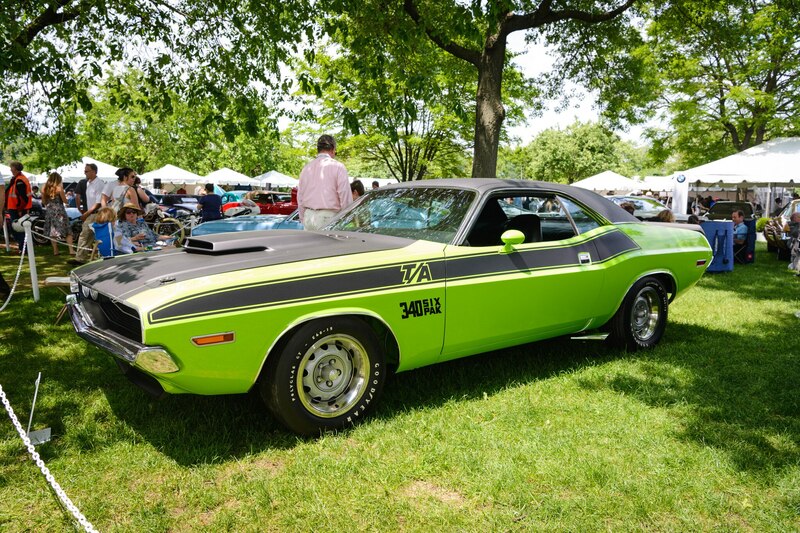 In 1970 the Sports Car Club of America required Dodge to sell production versions of its Trans American Sedan Championship entry and thus the company responded with its homologation special, the 1970 Dodge Challenger T/A “340 Six Pack.” The race version it featured a destroked 305-cu-in version of Chrysler’s LA V-8, but the road-going Challenger T/A retained the 340 cu in displacement. 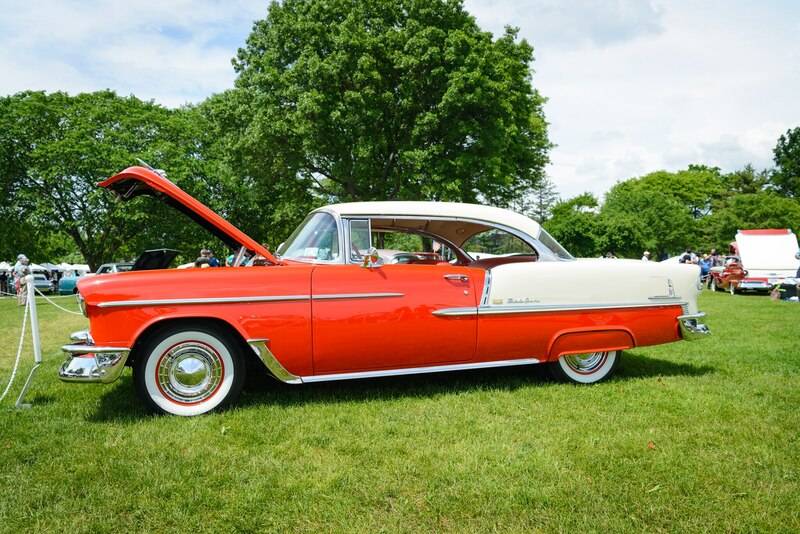 It also received internal engine reinforcements and a bespoke three two-barrel carburetor setup that gave it the “Six Pack” nickname. 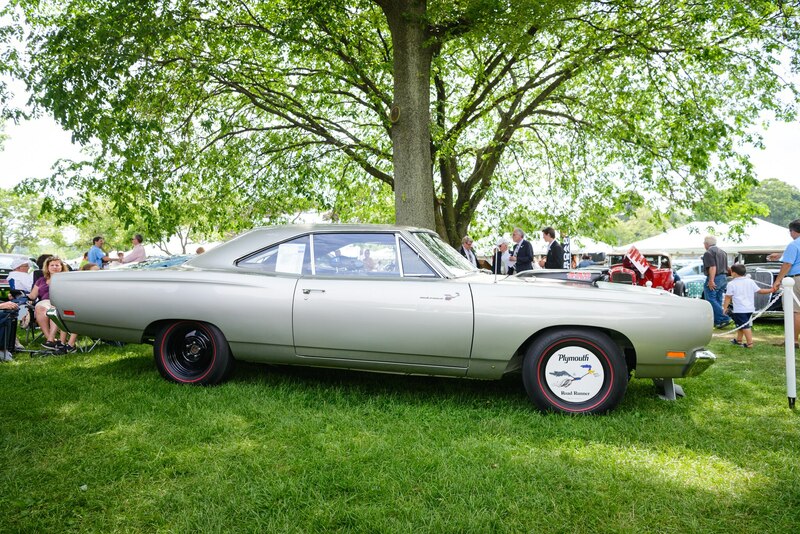 Chrysler rated the engine from the factory at 290 horsepower but dyno tests later found the engine produced closer to 350 horsepower. 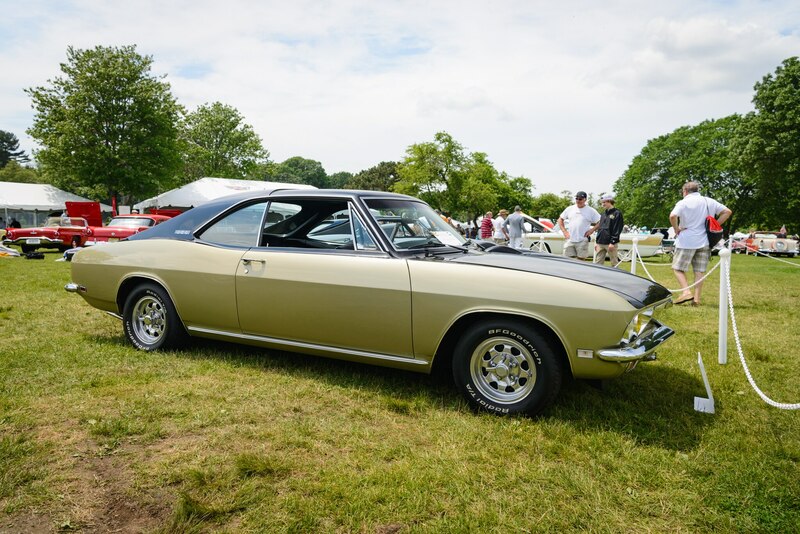 It also featured special heavy duty Rallye suspension upgrades, essentially putting it as Mopar’s answer to the contemporary Chevrolet Camaro Z/28 and Ford Boss 302 Mustang.